The Roundhouse, Royal Festival Hall and Laban are to join marketing consortium Unique Venues of London (UVL) in January. 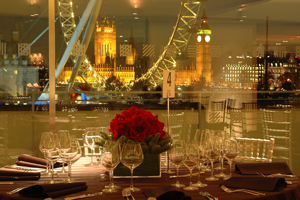 UVL chairman and London Eye sales and corporate events manager Lisa Hatswell said: "We are delighted to welcome these three new venues to UVL. They each reflect our dedication to exceptional London venues and complement the depth and diversity already offered by UVL." The Roundhouse head of events Caroline Huffelmann added: "We are delighted to have joined one of the leading collections of venues in London and to be represented alongside the city's most prestigious events spaces. With our ability to host large-scale events and dinners, as well as our unique facilities in the Roundhouse Studios, we bring something different to UVL".